Chocolate Coffee Oatmeal Bites. The flavors of chocolate and coffee go so well together in these Healthy Oatmeal Bites. I have been wanting to make some more coffee flavored treats for a while now and I was having a hard time finding the coffee extract. Well I finally found some on Amazon. As soon as it was delivered, I got to work making these Chocolate Coffee Oatmeal Bites. I used a mini muffin pan to make these, so they really are perfectly bite sized. These oatmeal bites are even kid approved. My 5 year old loved them and between her and my husband, they were gone in 2 days! These are extra chocolatey because I added chocolate chips in addition to the cocoa powder. These coffee chocolate oatmeal bites are vegan and gluten free. I hope you enjoy them. 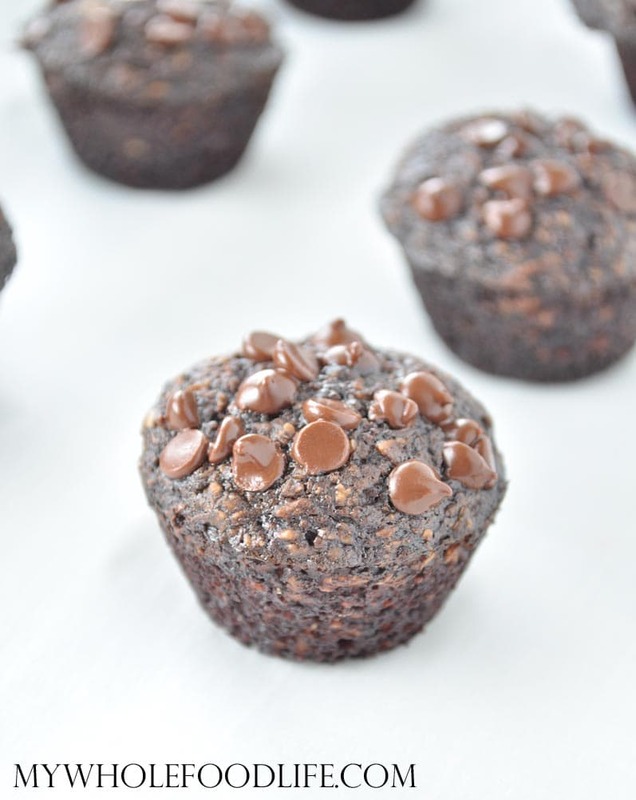 The flavors of coffee and chocolate pair well together in these delicious muffins! Spoon batter into lined mini muffin pans . Bake for 6-8 minutes or until a toothpick comes out clean. Let the muffins cool completely before removing from the pans. Store in an airtight container in the fridge. They should last a few weeks. If you are using paper liners, you will need to grease them or they will stick to these muffins. If you are using silicone liners , there is no need to grease! Enjoy!